One of the most effective forms of garage storage are lift hoist bike holders. These holders vary according to brand, but the general purpose is to strap a bicycle in and then hoist the bike up toward the ceiling. 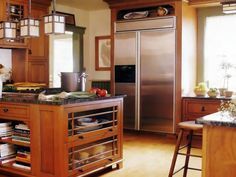 Many garages quickly become full of tools, bicycles, lawn equipment, and more. 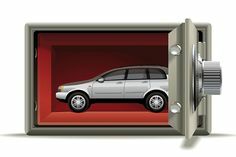 However, when proper garage storage is used, there will be space in the garage for one car or more! Many garages have attic space that can be used for further storage. Many garages have built in storage for tools. Peg boards can be fitted with a variety of types of pegs and used to store all kinds of tools. Peg boards are very customizable and can be changed at any time to accommodate more tools. Websites are hosted on servers like this rack containing two computer servers. An optical disk storage unit and a 3.5 inch floppy disk drive enable technicians to install software conveniently. Two garden sheds sit in a beautifully landscaped backyard. Flowers, walkways, and a birdbath make this an idyllic spot for visitors. The potting shed in the foreground is made of cedar shingles, with a bench outside for resting. An air drill is neatly stored and ready to use for the next job. This scene depicts a quiet moment before the production lines fire up. A brown, wooden garden shed with red trim stores landscaping tools and other gardening equipment. Larger items, such as fencing material and a wheelbarrow, lean neatly against the side of the shed. Writable CDs and DVDs come in a variety of storage sizes and writing formats. They are available in bulk or in smaller numbers with jewel cases. Storage sizes range from about 700MB for CDs up to several gigabytes for DVDs. 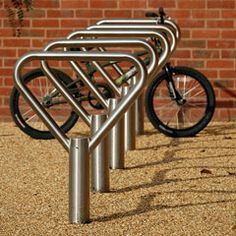 This metal coil bike rack provides efficient storage and a measure of security for many bicycles at one time. Bookcases provide numerous storage options and can be found in styles to fit almost every taste and budget. Computer supplies range from data storage, such as USB thumb drives, writable CDs, DVDs and floppy disks to accessories, printer supplies, cables, and even computer parts and peripherals. Laptop bags and briefcases provide convenient storage and portability while offering padded protection. Many laptop bags and briefcases provide a number of pockets for cables, accessories, and papers in addition to a protected area for the laptop. Numerous solutions for garage storage exist. Shelving is a great way to organize according to categories and keep belongings off the floor of the garage. 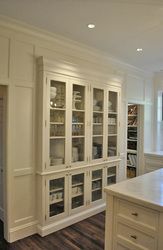 Shelving units can be purchased or custom built, depending on the desires of the homeowner. A black-and-white image of a new gas grill is photographed on a graduated gray background. The grill is open to reveal the large cook top, which is capable of holding a large amount of meats and vegetables during a backyard party or barbecue. 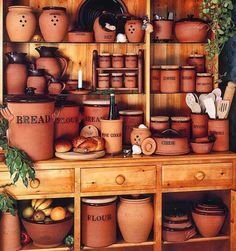 Visit Pinterest for more storage images.